I have selected four albums this month. They are different genres but I think they all have one thing in common: they all redefine the great American songbook in all its forms. Last month I was also fortunate enough to DJ at a number of festival and clubs in the US and Canada. My head is stuck in a techno nirvana. But rather than write reviews of a whole bunch of 12”s that will only be of interest to three or four people, I have decided to ditch my curveball selection this month and highlight some of the great new albums and 12”s floating around. Kamasi Washington is part of an exploding network of LA musical visionaries: he plays saxophone on recent masterpieces by Kendrick Lamar and Flying Lotus. Now – along with a 10-piece band, plus strings and a choir – he’s made a masterpiece of his own. This triple album is Kamasi’s first as a leader. This is music on an epic scale. It is a musical love poem to Alice and John Coltrane and Pharoah Sanders. 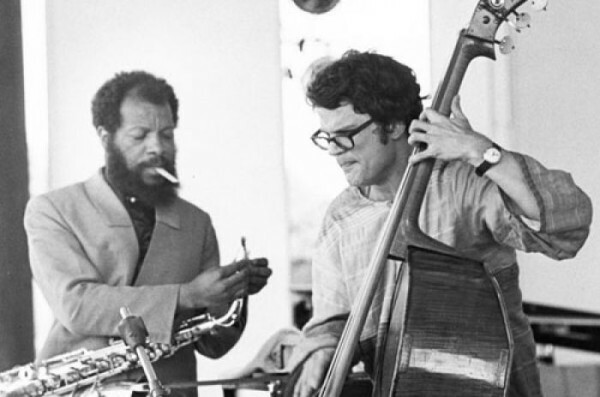 But it is much more than this: the music slides effortlessly between free jazz, New Orleans rags, big band jazz, blaxploitation riffs and hard bop – and I hear traces of Ennio Morricone’s film scores. 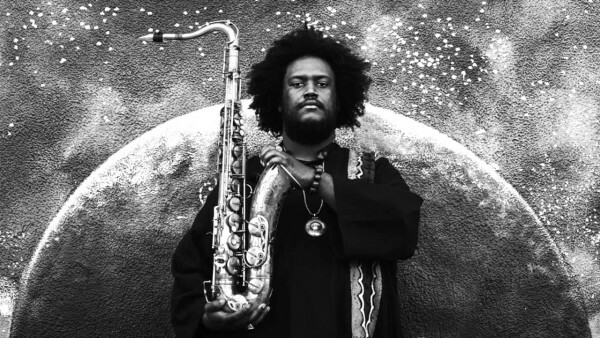 Kamasi Washington is grabbing jazz by the scruff of the neck and shaking things up. The album begins with a monster Changing of the Guard. It opens with a McCoy Tyner-sounding refrain, then suddenly the brass and choir come swooning in. It’s the Coltrane Quartet and Sun Ra all rolled into one. One of my favourite tracks is Clair de Lune. The Claude Debussy piano refrain lives with you long after the track has ended. The brass section plays a haunting bop melody and there are trombone and bowed bass solos to die for. The openly political song Malcolm’s Theme, written by Terence Blanchard, brings back memories of Abbey Lincoln and Max Roach’s most political works. Its urgency is given greater emphasis by the murderous intent of police in the US. With this album coming in at nearly three hours of music, I could go on and on. But I will leave it up to the reader to discover these songs. The fact that the record label is Brainfeeder, run by Flying Lotus, that the album’s distributor in the UK is Ninja Tune, and that Washington has performed alongside Lamar, Nas and Snoop Dogg hopefully means The Epic will cross over to a wider audience. On 31 May 1959 Billie Holiday was taken to Metropolitan Hospital in New York with liver and heart disease. As she lay dying in her hospital bed the Federal Bureau of Narcotics raided her hospital room, arrested her for drug possession and handcuffed her. For the last 17 days of her life Billie was under police guard. On 17 July 1959 she died with just $0.70 in the bank. It was a tragic end to what had been in parts a tragic life. Billie left no financial legacy but did leave one of the most important musical legacies of the 20th century. Cassandra Wilson’s Coming Forth By Day features eleven re-interpretations of the great American songbook associated with Holiday (both “standards” and Holiday originals). Also contained on the album is the Cassandra Wilson original Last Song (For Lester). It has been created as a beautiful homage from Billie to her musical soul mate, Lester Young. Wilson seeks to do more than simply remake the tunes from the Billie Holiday Songbook – she seeks to re-imagine those tunes, turn them inside out and make them relevant to a 21st century audience. In many ways this is similar to Bob Dylan’s recent album Shadows in the night. The sound of the album owes much to Nick Launay, Nick Cave’s producer for the last decade. Wilson recorded her tour de force in Los Angeles at the Seedy Underbelly studios with guitarists T Bone Burnett and Nick Zinner of the Yeah Yeah Yeahs, string arranger Van Dyke Parks and the rhythm section from The Bad Seeds (drummer Thomas Wydler and bassist Martyn P Casey). She is well versed in the blues, jazz, folk, roots and soul traditions. Her husky voice adds weight to the songs. Good Morning Heartache becomes a sultry ballad shot through with deep anger. All of Me is a song of haunting beauty, lost love and gut wrenching heartache. But in my opinion Strange Fruit is the weakest interpretation on the album. This is a great album and Good Morning Heartache is a great track. Aged just sixteen, Bishop Nehru released his first mix tape Nehruvia in 2012. His scholarly wordplay and a penchant for classic beats had a big impact on New York’s hip hop scene. With an EP under his belt he worked with the hip hop legend MF Doom to release this album NehruvianDOOM. Bishop Nehru has a unique rapping style and rejects the violent and braggardly material churned out by some. MF Doom needs no introduction: ever since he released Madvillainy, his collaboration with Madlib, he has been a legend. Like Kendrick Lamar, Flying Lotus and Madlib, this generation-crossing collaboration samples everything from the modern American songbook – classic funk, hip hop and jazz – and it even throws in snippets of British 1960s film dialogue. One of my personal highlights of the Movement Festival recently was hearing Detroit artist Shigeto. He is Zach Saginaw, who records under his middle name, which is Japanese and means “to grow bigger”. Plyaing live, he uses electronics to create a musical backdrop and overlays this with subtle and complex drums. Cool shades of ambient music, dubstep, sub-bass, and jazz melodicism colour Shigeto’s palette. If the early Detroit techno pioneers create soundscapes evoking a city blighted by de-industrialisation and bleakness, Shigeto’s sound is influenced by a city slowly recovering and coming to peace with itself. Rather than release an album highlighting just one member of this techno collective they have brought out an album giving all 12 members a track each. It’s a monster. The techno maestro who has always kept it real by staying underground. A percussion-laden beast of a track. Scott is one of Detroit’s top producers of deep house and techno. This album taps into Detroit’s rich musical heritage. Scott drops the samples in favour of synths and drum machines – this is soul through machine. These three classic Theo 12”s have been reissued. If you know Theo’s work then you will know why you need to get them. If you don’t know his stuff, it’s a good place to start. I don’t know if Spice of Life is the DJ or the track title, but what I do know is that this is as funky as a mosquito’s tweeter. Nothing to do with Detroit but this is catchy as hell and retains its underground credibility.